New details on As I Lay Dying frontman Tim Lambesis’ alleged plot to have his wife murdered have emerged following today’s arraignment, with evidence suggesting the singer from the American Christian metalcore band had also denounced his religion. 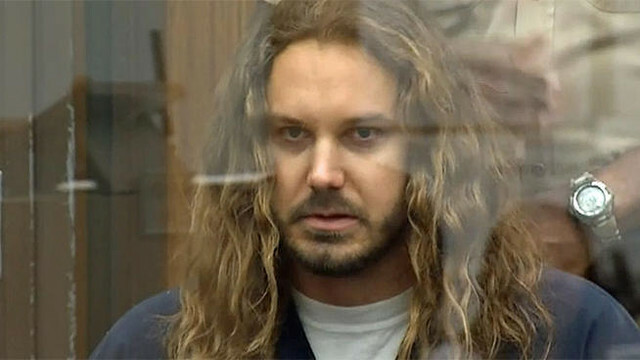 The Vista Superior Court heard that Lambesis met with an undercover detective he believed to be a hitman and asked the detective to kill his wife, Meggan Lambesis. Deputy District Attorney Claudia Grasso informed the court that Lambesis gave the undercover detective photos of his wife, security codes to Ms Lambesis complex, dates for the murder to take place and $1000 in cash for expenses. The meeting between Lambesis and the undercover detective occurred after Lambesis approached a fellow gym member as to whether they knew of anyone he could hire to murder his wife. Lambesis twice broached the subject of having his wife killed with the gym member, who then went on to inform a third party about his conversation with Lambesis. The court also heard that Lambesis sent an email to his wife in August of last year while on tour with As I Lay Dying. In the email the Christian singer told his wife that he no longer believed in God while announcing he no longer loved her. Lambesis has pleaded not guilty to the charge of solicitation to commit murder. He has been released on bail after posting the US$3 million bond.